Shrimp and Avocado Dip has been one of our go-to recipes since our friend Elisse shared it with us years ago in Vienna, Virginia. Not only is it delicious, it has that “Wow” factor. When we take it to a gathering, everyone wants the recipe! The flavors run the scale from fresh and clean to tangy and spicy. And the textures go from smooth to firm and crunchy once you dip in a tortilla chip. This recipe is so simple. It’s a great appetizer where the end result is much greater than the work you put into it! Use large pre-cooked shrimp and cut them into thirds. You’ll also cut an avocado into chunks. After that, a few extras and some ready-made cocktail sauce, and you’ve got yourself a fabulous hors d’oeuvre. Shrimp & Avocado Dip is best prepared within two hours of serving. 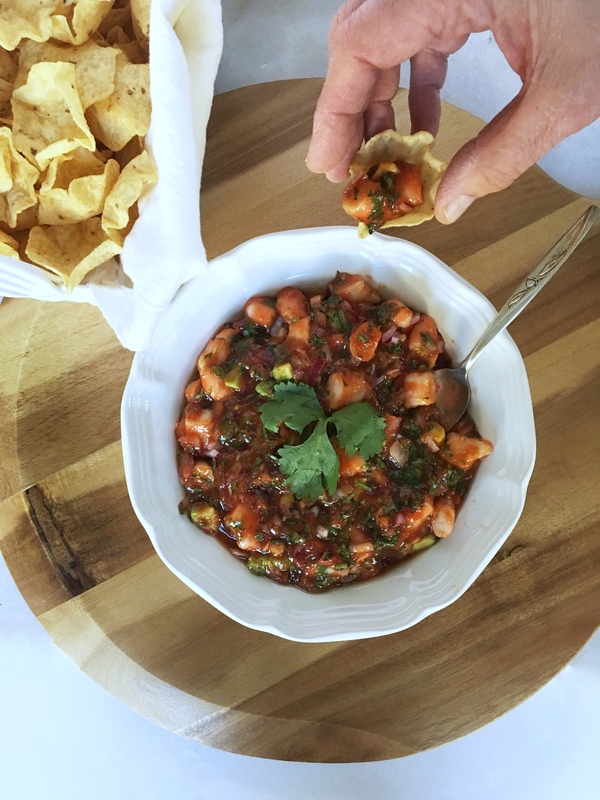 We love serving it with tortilla chips like “Scoops” where the chip hold a bit of dip for you. The vibrant colors and flavors will have you making it again and again. Mix cocktail sauce, onion, cilantro, Tabasco, and pepper together in a medium sized bowl. 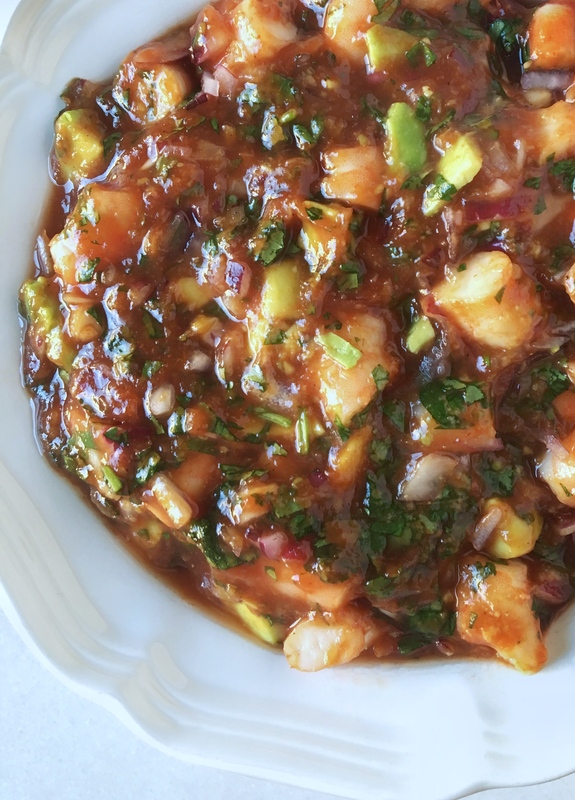 Gently mix in shrimp and avocado chunks. Place dip in an airtight container until ready to serve. This dip should be made fresh, only a couple of hours before serving.